The online demo of the Pareto Platform CRM is done through the content and videos below. Your client relationships are the life blood of your business. By integrating Family, Occupation, Recreation and Money to the contact card, the Pareto Platform will help to strengthen you client relationships in all of these areas. 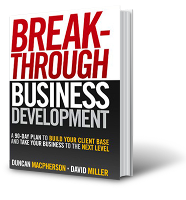 Model and implement your business processes quickly, easily, and effectively. Each step of the process is automatically added to your Team Calendar, delegated to specific team members, and performed in sequence. Deliver ongoing client service with the highest degree of consistency and predictability. Your Advocate Service Matrix will ensure your best clients receive the time and attention they deserve. This tool is central to putting the advisor and their team in control of their business. All actions are tracked automatically, tasks can be assigned with ease, and appointments can be rescheduled with a simple drag-and-drop. By utilizing Microsoft Dynamics CRM for Outlook, Pareto Platform CRM can be seamlessly integrated into the everyday Outlook experience. Synchronize and track email, contacts, appointments, and tasks effortlessly. All activities are historically tracked to the associated client records, allowing you to track your invested time and efforts. Accurate and non-modifiable compliance reports can be produced with the click of a button. The orientation video will give you an overall look at The Pareto Platform CRM. It will guide you through the main areas of navigation, the main menu, the Work Place submenu, Best Practices submenu, contact record, dashboards, calendar and more.